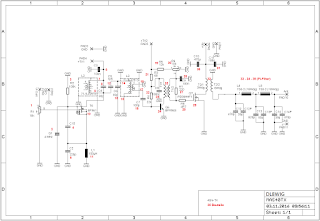 This is a not really new component but not so often used in homebrew schematics on the web. I discovered it surfing the really intyeresting pages of Jeff WA7MLH with a lot of suggestion and ideas for the true homemaker. In a pic I saw a different component, the RD06HHF and in another a couple of RD16HHF. and several QRP MAS project published on the website of homebrewers pages show several users of these MOSFET and so is possible to get idea and practical application of this really interesting device. But the more important for me was a G QRP SPRAT article I got on theSpring 2018 issue of the newsletter by Andy G0FTD, the title is " Iron Fist- a 5 W CW Tx from top band to ten metres". The article describes the experiences and test that Andy did about the "low power" version (RD06HHF) version of the Mosfet and possibility to do a 5W tx with just TWO stage. Andy was also so kind to give me more answers via email and on the web there is possibility to download the article for interested people. So decided to get some sample of the Mosfet and so it from a Ham in Greece: SV1AFN, in order to do some test for my own. 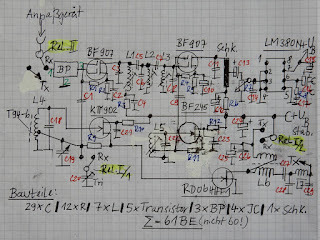 I did a simple two stages transmitter, with first stage using a simple 2N3904 xtal oscillator and the RD16HHF as a PA. 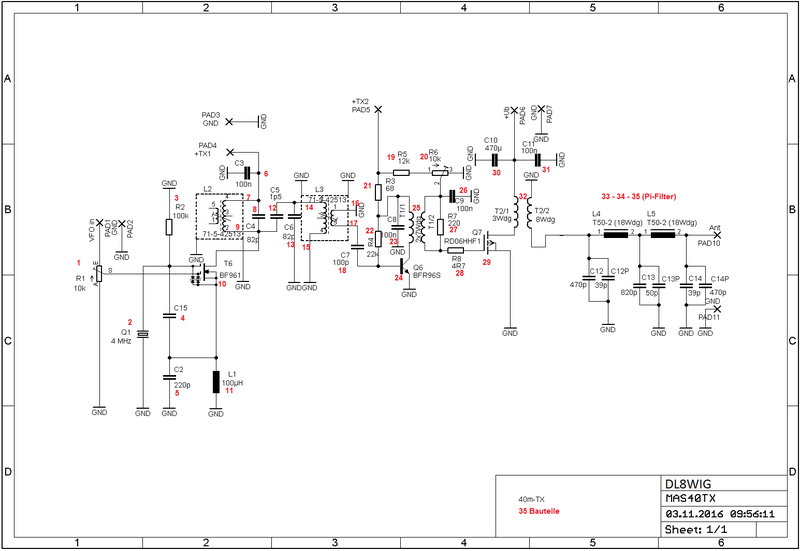 So the impedance is easy to adapt in input and output. Decided also to test it during the QRP MAS test of last spring and so the test was really not just for power but for a continous use and verify the ability to not heath too much. Really we can use the device at high power supply also, and power can vary, but mainly the CW use without heath sink let long QSO/Chat without any excess of heath. Power is really over 5 W (on some band up to 8 W) and this makes the similarity with a tube TX, just two stages and a really QRP level TX, NICE and interesting! I think that this is a great device for QRP (and not QRP also) in Ham Bands for homebrewer and that is worth to make some tests and use for Ham that like to do by theirselves the rig they use. Last but not least a good a good seller is SRD-KITS shop. This Eu shop sells really Mitsubishi devices and not chinese replica that are found on ebay, cheaper but not so reliable. The Power Fest page of this shop summarize the characteristics and the prices are really honest and found on the webshop page. 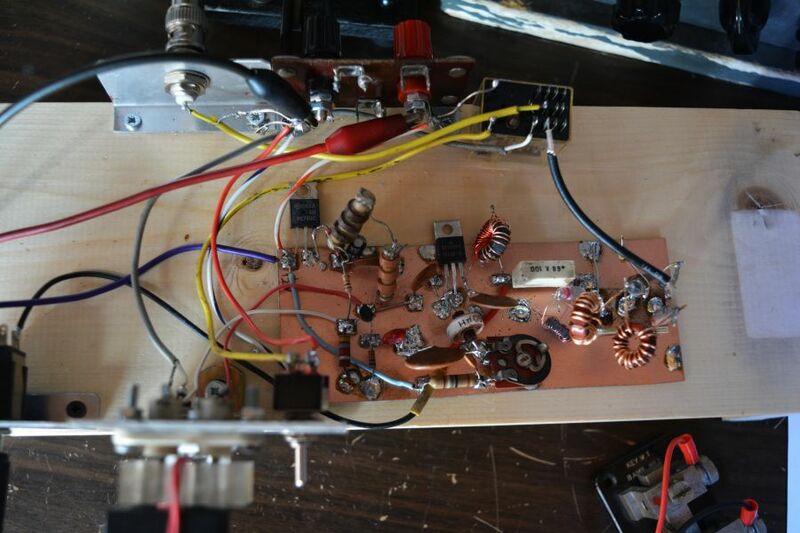 Wish you enjoy this devise and do a lot of QRP contact using it on your homemade TX. The following Regen Receiver notes by a well known expert Ham, Arnie Coro CO2KK. direct oscillation and up to 50 MHz using third overtone crystals. output stage, possibly using two in pararell... Reason for this test ? and a bandpass filter 300 to 3000 Hertz for voice or digital..
Of the mentioned three options I am an all time regenerative vacuum tubes receiver enthusiast... As a matter fact, after testing many different solid state regenerative sets, my thumbs up signal goes to the more sophisticated and complexvacuum tubes designs, especially the non plus ultra of them all , the ZL2JJ design , that I have modified to use more modern vacuum tubes types than the 1930's and 40's types used by the original set. Regenerative receivers do require a very solid mechanical construction if you really want to achieve top notch performance. Time spent assembling a very rugged chassis, proper placement of the components and careful assembly of the electronic circuits are the difference between a mediocre set and one that shows really high performance. 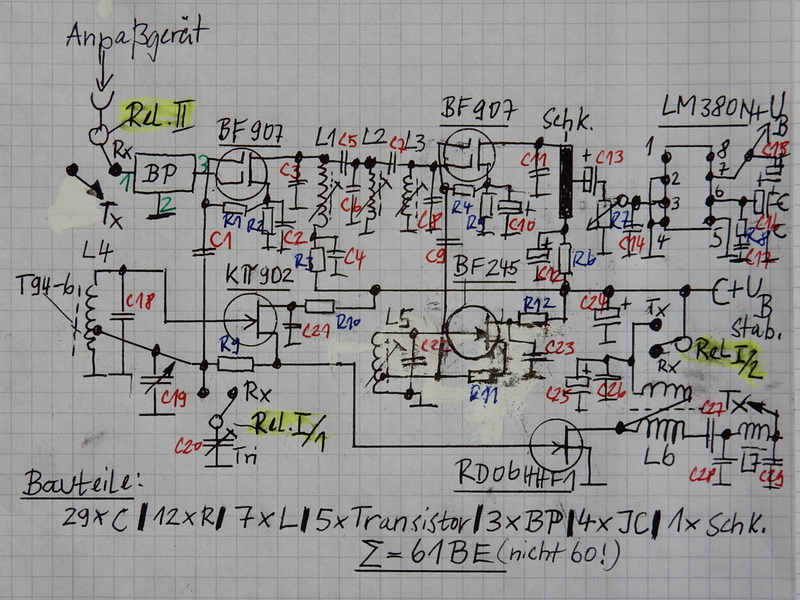 This is how the Zl2JJ receiver was designed and built …. Communications magazine, when properly built achieve amazing sensitivity and razor sharp selectivity. Cuban radio amateur CO3BN , Bernardo from Artemisa province of western Cuba recently reported to me that his home brew cascode receiver performance was simply amazing… providing both excellent selectivity and frequency stability as well as a very easy going bandspread tuning . 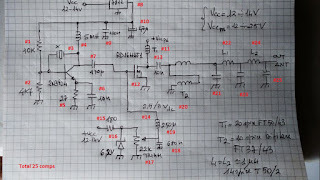 It is important to keep the power supply of the regenerative radios built on a separate chassis, and connect it to the radio using a well shielded multi conductors cable. Some builders prefer to run the radios using a 6 or 12 volts accumulator for the filaments and a set of series connected batteries for the B plus line. But this may prove to be really expensive, especially when time comes to replace the high voltage battery. My classic simplified regenerative vacuum tubes radio is fed by a solid state power supply that provides 6.3 volts regulated direct voltage for the filaments and between 50 to 75 volts also regulated for the high voltage. 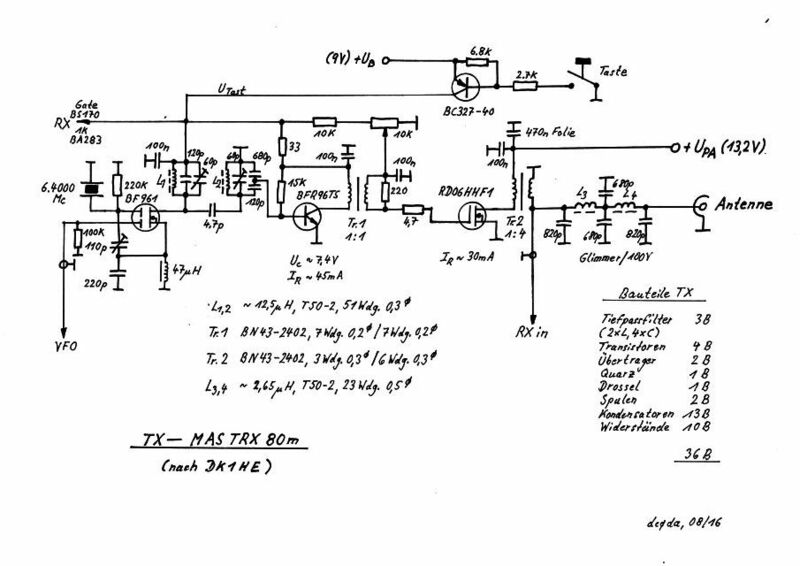 tubes regenerative receiver , after searching several radio hobby magazines. production. Each radio is a one of its kind, according to what practical experience building them shows quite clearly. But that is precisely what makes regenerative detectors so fascinating... Even the simplest on single active device radio, be it a vacuum tube or a solid state component, does require some experimenting before the best possible results can be achieved, and that amigo Luigi is where the fun of it comes out!!! I do have three or four very well designed and proven in practice regenerative receivers that cover from the very low frequency bands up to around thirty megaHertz, and they are all available by just sending an e-mail to inforhc@enet.cu. But we have more to show and point out. The friend Kostas SV3ORA has a very well done webspace for homebrewers. In the main the experiment of Kostas lead him to a very simple but effective solid state Regen RX that's able to amaze the homebrewer. The direct link leads to a very interesting page to read and study and after this we have just to do it and test. "....a reflexed regenerative receiver that is simplicity itself, yet capable of remarkably good performance, better than anything I have built so far. 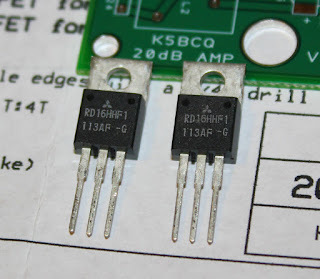 The highly sensitive, single signal capable, all-bands receiver, can be easily built in one afternoon, and it is capable of receiving any frequency on HF (1-30MHz) by just replacing the crystal for that frequency. No other components need replacing or rescaling apart from the crystal itself..."
Kostas spent quite a lot of time in searching the right manner to have this receiver functioning properly and now you can find a very simple and minimal but effective Receiver, able to be a portable one, aside a QRP TX that is possible to get from the Kostas pages ore everywhere. I want to underline the mind of Kostas to obtain good performance with simple circuits, not commercial at all, but well designed and tested by a true Ham, that loves Radio and Electronics and show with results his love. We hope this first post will be useful as a source of possible ideas and plans. Please give us suggestions and feedback, they will be welcome. Best 73 and wish you amusing homebrewing. In questo blog parleremo soltanto di autocostruzione in campo radioamatoriale, o Ham Radio se preferite. 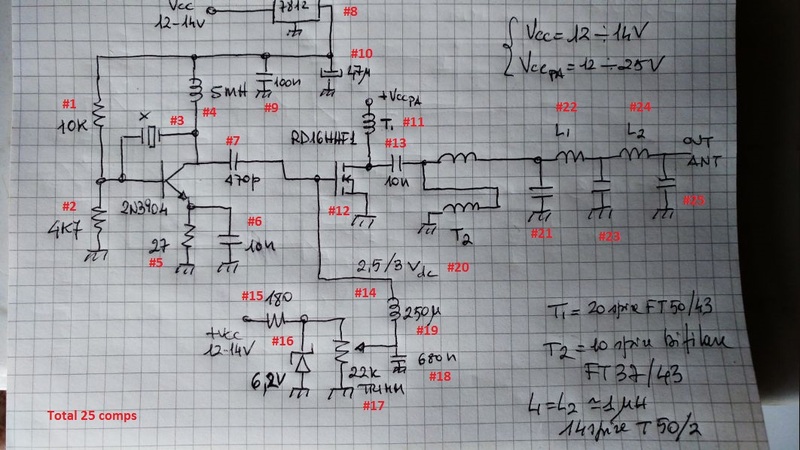 Principalmente di tipo analogico, per il Radioamatore normale, per chi non è esperto e non deve per forza essere un ingegnere o tecnico specializzato, quello non ha bisogno di noi. Noi scegliamo ed auspichiamo un buon livello di Radioamatore, senza necessariamente una laurea, ma con una vera e pura passione che lo porti a cercare di imparare in ogni occasione e da chiunque. Non di kit, ma di costruzione, di mettersi alla prova, magari anche sbagliando, ma per avere la soddisfazione di poter sapere che "l'abbiamo fatto da noi stessi"
Noi vogliamo parlare di Autocostruzione per chiunque. 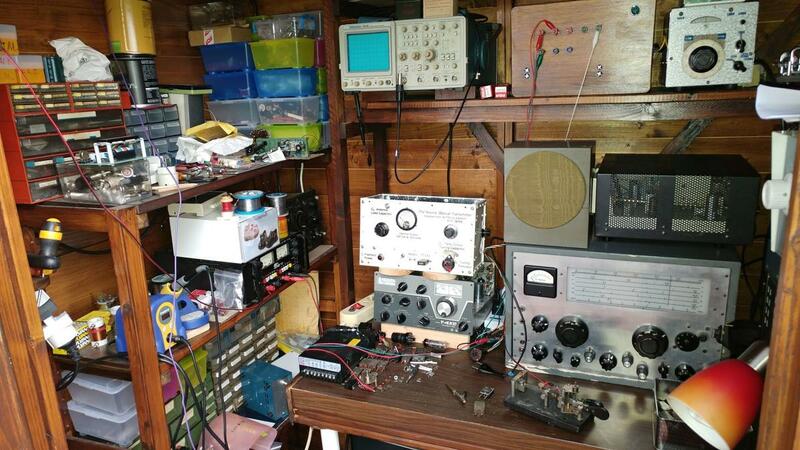 Here we will speak about "Just Home Made Radio Amateurs" (or Ham Radio if you prefer). Main analog, for the medium Ham, for the beginner too, not just for top technician or engineer, but not just basic: we choose a good level of Ham Radio without any graduation, but with a lot of true and pure Ham Spirit and desire to learn from everywhere and in any place. No kit, just construcion, the challenge in doing by ourselves, with errors too, with the final satisfaction of a done with our hands equipment to use and enjoy. We want to speak about HomeBrewing for everybody !